The best stunt rider in the world gave a show this afternoon in Funchal, and left the audience in a frenzy. Sarah Lezito overcame her expectations by revealing her impressive talent of doing acrobatics on top of her bike. 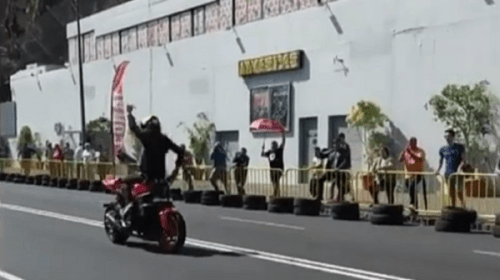 The video shows the best moments of this event, integrated in the last race of the regional competition of Urban Freestyle.